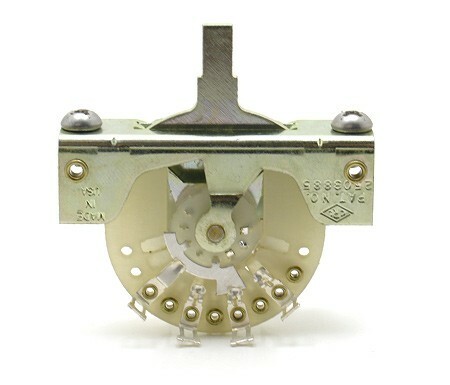 The Original CRL Switch - Made in USA. 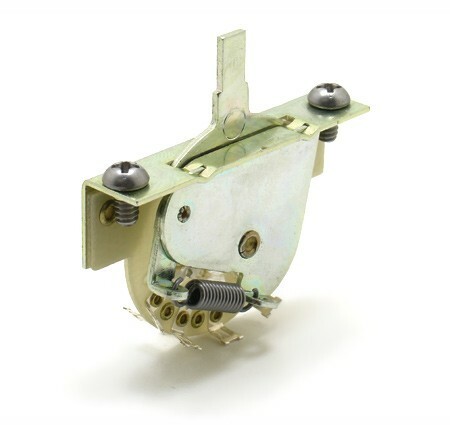 3-way version of the switch that Fender used in Strats and Teles from the originals in the early '50s all the way into the '90s, when they switched to Oak Grigsby (both CRL and Oak Grigsby are owned by Electroswitch). Still made by CRL, these are improved versions of the originals. The contacts on the older switches would sometimes work loose and rotate, making contact where they weren't supposed to and rendering the switch non-functional. These newer switches have punched notches in the phenolic to prevent this. 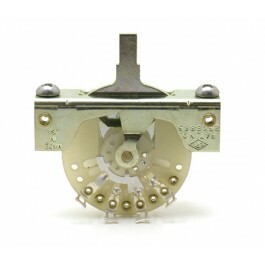 As a result, these are essentially lifetime switches, you will probably never have to replace one. Mounting screws included. Please note - Switch tip not included.